New feature: Implemented a function that will load jQuery for you if it is not already loaded. No need to load jQuery via a separate script-tag any longer. I can not get this to work in an office 365 environment. any suggestions? Hi Pieter, it’s me again. I have just signed up for an Office365 Trial and tried my script there. sadly I don’t have an Office 365 environment available to test it. So without further information (error message in the console, etc) I won’t be able to help you at the moment. Is the script only using jquery to display the headers? I was looking to see where I could pull in a jquery theme….but I just found where you put the css. the script isn't using any jQuery theme. The header you see is just a copy of the original that pops up when the original one gets out of view. To change the look of it you can change the content of the variable 'style'. In my case the filter doesn't work. Do you have any update on this ? sorry for the late reply. The filters don't work in quick edit mode and I haven't found a solution, yet. Do they work in the normal list view? Hi, this works great on my quick edit view. However, is it possible to expand the sticky header to show the first item too?? I have a quick edit view where the headings are days from a month (01 to 31). The first item always shows the weekdays (Monday to Sunday). I was starting to create my own sticky headers and kept running into so many issues, mainly caused by my lack of experience with sharepoint and coding in general, Thank you so much for this!!!!!!!! it's working great and does what I need, except when I was cross browser testing it, I keep running into an issue with IE8 (unfortunately majority of people at my company are using it) and same issue with IE9. It keeps saying DeselectAllWPItems is not defined. It looks like you code is trying to set DeselectAllWPItems_old to this undefined value, right before you actually declare it. It works great with IE11, chrome, and firefox (atleast versions I've tested so far), just has this issue with IE8 that is stopping the script from working. FYI, I've been trying it on both small lists and large 5000 item lists with similar results. When I comment out that section of code, the script will run and work, however it takes up to 5 minutes to load in IE8 and 9, and sometimes gives a little message box saying the page isn't responding due to a long running script. Again this is only with IE8 and 9, works fine with IE11, chrome, and firefox. But since most my users will be using IE8, do you have any idea how to make this script run faster, or if that part that it errors on is important to that? Is this project on GitHub, CodePlex etc. at all? 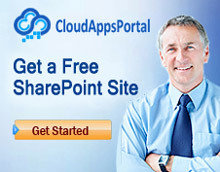 Hey, I am very new to SharePoint and they only give us the shell to work in and not the code behind it. Great Script adding much needed value to the UI. We're running jQuery in noconflict mode due to SP using the $ itself. Any chance you could change the $ sign for jQuery for the next release? Wouldn't make a big difference to the script but would run on any environment. I have added the code to my master-page but nothing happens. Where I have to copy it in exactly? Between head, script body? Can I get the StickyHeader code for SharePoint 2010. The filter and Sorting don't work properly in quick edit mode and they are working good in the normal list view. Main Error in StickyHeaders_v2.9BETA.js version is Filter and sorting images are doesn't appear. where do i copy this code into? Is there anything in the browser that could be preventing this I have tried both internet explorer and chrome i added a content web part edited the snipet changed the destination to my site assents folder and link to jquery. I see no change before and after. Im wondering if my compnay has the browser secured some how. Do we have code of sticky headers when sharepoint online list has new experience setting. Unfortunately not. So far only the Classic Experience is supported. Code is not working if list has new experience setting in sharepoint online.